Castlemartyr Village in Co Cork has a gem of a shop in the form of this local greengrocer’s. The word greengrocer conjures up an image of yesteryear – and its wonderful to find a place that concentrates on the old fashioned way of sourcing and supplying fresh produce to its customers. 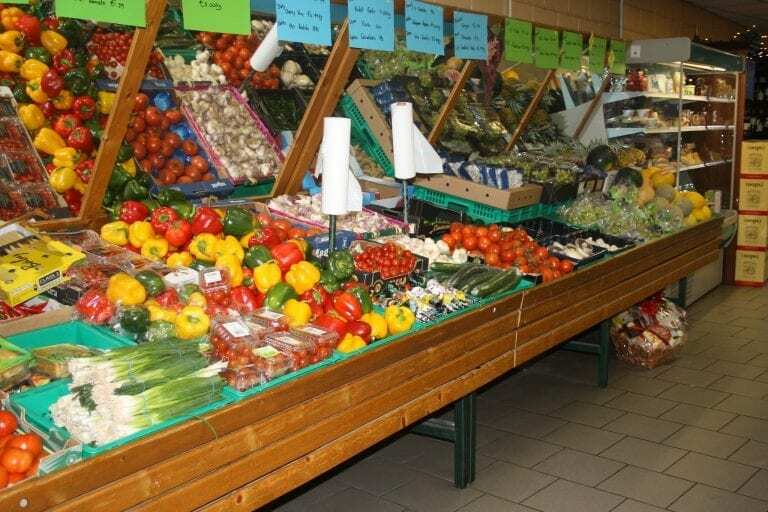 Owned by Sean and Dorothy Walsh, The Village Greengrocer caters for those who want good value best quality local vegetables and a range of superb quality artisan specialities, locally produced foods and fine wines. The business started fifteen years ago, when Sean, originally, a farmer and grower himself, saw a small premises on the main street was available to rent, and got the notion of starting a vegetable shop. Dorothy thought he’d gone mad – wondering if a shop, which concentrated solely on supplying vegetables to what, was then a reasonably small community could ever survive. She should have had more faith. From day one, the shop had a constant trail of customers daily. As demand grew, so did the need for a bigger shop. When a corner premises over the road came up for sale a number of years ago, The Walsh’s moved lock stock and barrel – and never looked back. Front of house is dedicated to the vegetable and fruit section, with suppliers named on handwritten labels. Find a good selection all year round, but even more impressive during summer months, from named local farmers and growers. To the rear, an artisan food section includes Dorothy’s home made jams and chutneys from seasonal fruits and vegetables, a table groaning with sweet and savoury home baking and breads, all made fresh on the premises everyday, oils, vinegars, dressings, a chill cabinet with produce from Ballycotton Seafood, Irish cheeses and artisan specialties and fresh meats from a long standing Cork city supplier. A well chosen but small range of old and new world wines means you can pick up a bottle you might not find elsewhere. For those on the go, or who wish to linger a while, the small deli counter is laden with home cooked meats like turkey, ham and spiced beef, and a selection of fresh salads all made in house daily. Order a sandwich on any kind of house bread, to take away or enjoy with a tea or coffee in the cosy upper seating area, which looks out onto the main street. In summer, tables and chairs are located outdoors at the side of the shop, which has a babbling river running by. This is more than just a greengrocer. An eye catching shopfront with seasonal window boxes provides the entrance to a cornucopia of fresh local foods. 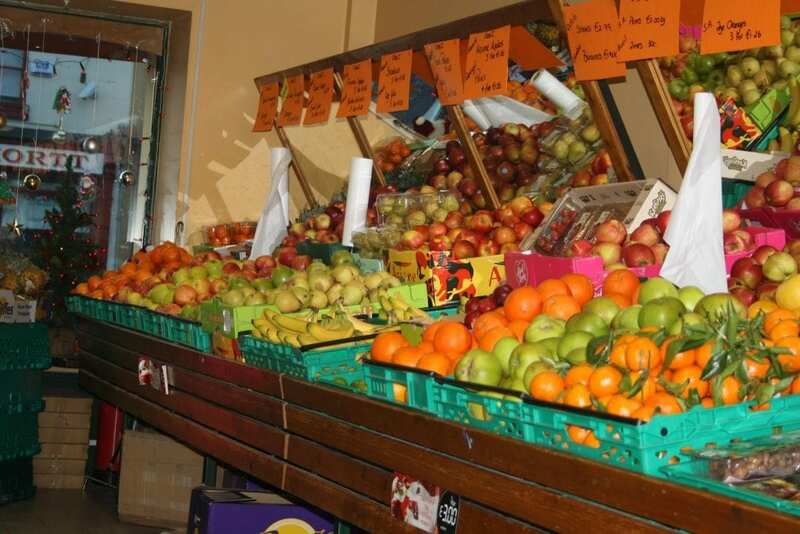 The Village Greengrocer also supplies nearby restaurants.